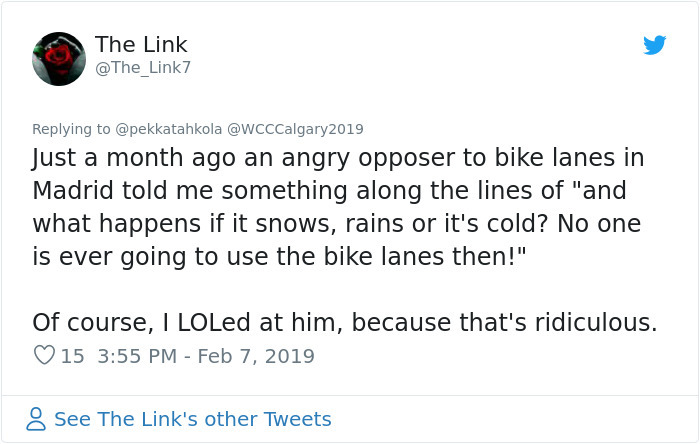 Are you a cyclist? 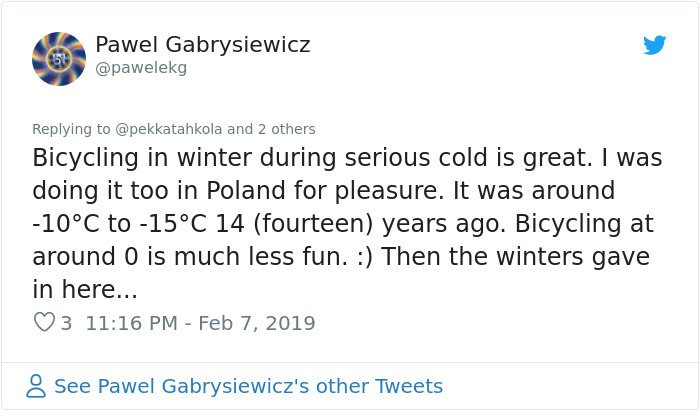 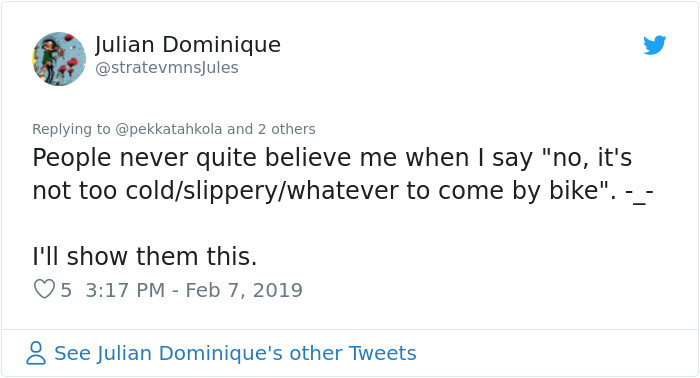 If so, are you one of the many who carefully puts old faithful into storage over the winter months, convinced that all that rain, snow and ice is just unsuitable for biking? 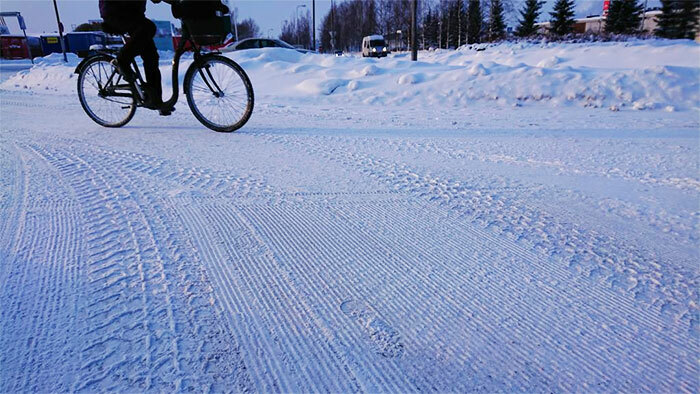 Well, this Finnish town is living proof that winter cycling is perfectly possible with the right planning and infrastructure, and making us feel a little soft for getting in the car at the sight of a little snow. 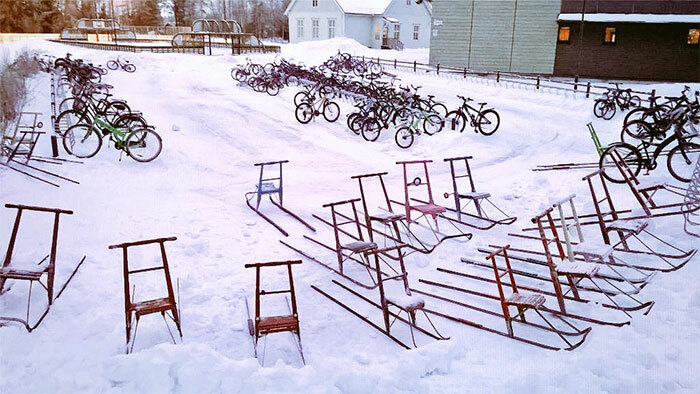 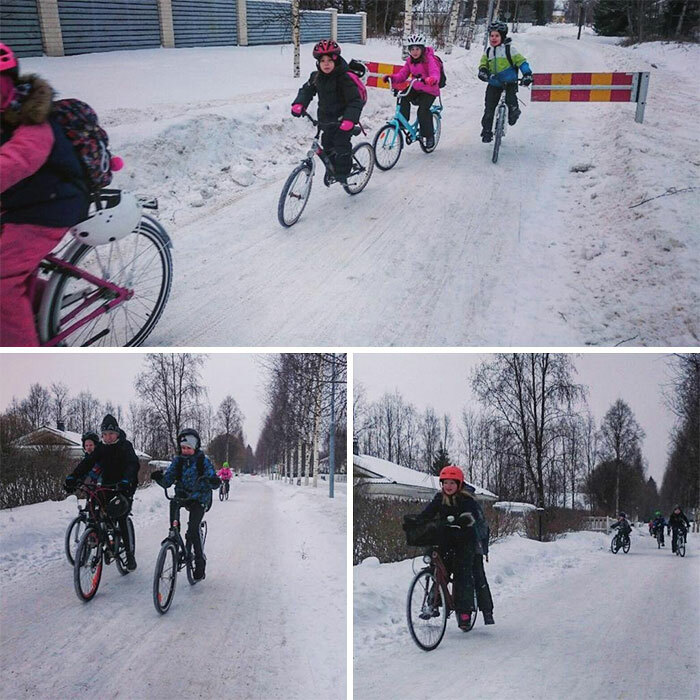 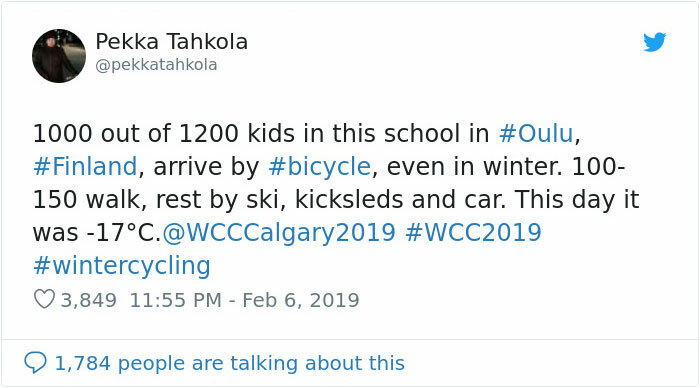 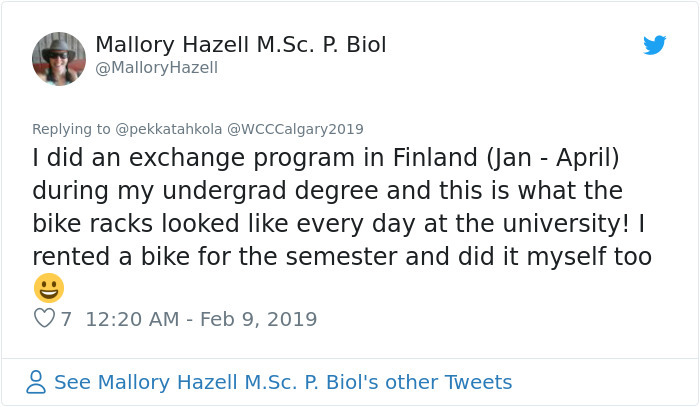 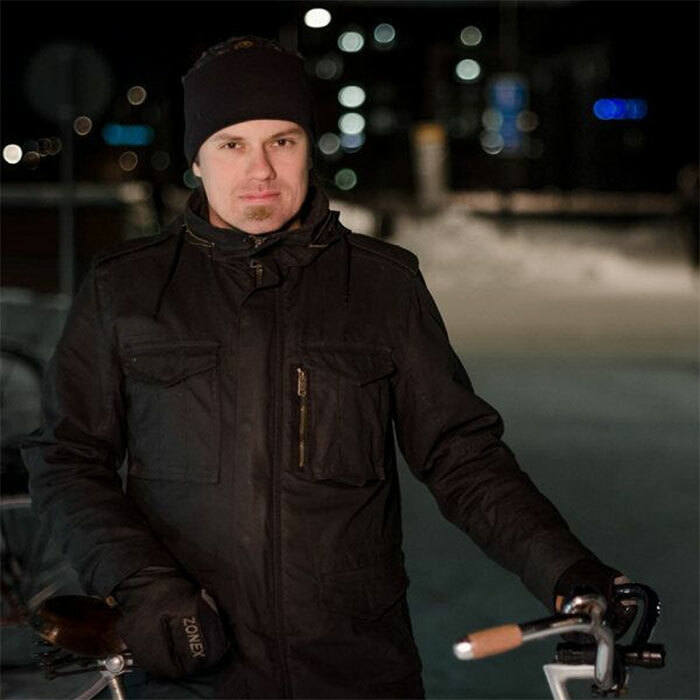 Pekka Tahkola, an urban well-being engineer for Navico Ltd. and a cycling coordinator for the City of Oulu, took a photo of the local school’s bicycle parking lot in -17C recently to show that no matter what the conditions, nothing is keeping these kids off their bikes.